A Merit Systems Protection Board judge on Monday ruled that a General Services Administration executive was wrongfully dismissed after being caught up in a conference spending scandal, according to Federal News Radio. MSPB Administrative Law Judge Patricia Miller reversed GSA’s decision to remove Paul Prouty following allegations of misconduct and overspending at a training conference. 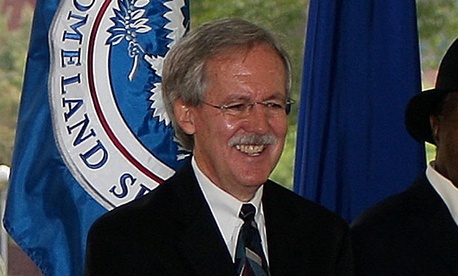 Prouty, a 41-year veteran of GSA, was dismissed during the fallout from an $820,000, four-day conference in Las Vegas in 2010, and left the agency last August. Until then, he had served as the agency’s Public Buildings Service Region 8 commissioner. Miller ordered GSA to “retroactively restore” Prouty effective June 25, 2012, and granted him back pay for the months he was out of work. Bill Bransford, an attorney representing Prouty, told Federal News Radio that Prouty was pleased with the decision. “I was never able to understand what the evidence was that said Paul Prouty did anything wrong,” Bransford told Federal News Radio. A GSA spokeswoman, however, told Federal News Radio that the agency was disappointed and was “exploring all our available options, including an appeal.” She told Federal News Radio that the agency had taken major steps to increase oversight and save money on conference and travel spending.